Step into hush, in a world of rush. Moments of hush give confidence and comfort. The hush you need, to think clearly. Quiet. Comfortable. Mobile. Flexible. Cost-effective. 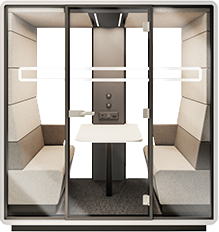 Hush Booths are everything an office need, and more. So, step away from the rush, into Hush. New employees, new expectations, new problems... See how Hush will help you adapt your office to changing environment. When privacy is paramount, the Hush collection of booths, with their high-quality acoustic construction, provide a peaceful and silent retreat for uninterrupted work, in an open-plan office. The combination of design and ergonomics, coupled with acoustically absorbent materials, ambient lighting and air ventilation, the space is practical yet comfortable. Retreat to a Hush booth for a superb user experience. 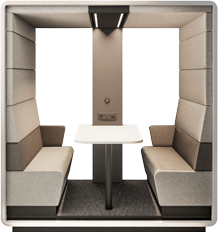 Hush designed the range of booths with your office in mind. Each meets different needs, so you’ll always find the perfect space to work, in your own way. Hush booths are easy to assemble, and simple to relocate, offering ultimate flexibility. Chose your space. Work in a way you really want to. We are constantly working to improve your office comfort. We will show you new products for your office soon. The Hush collection has been designed and crafted by the office design experts at Mikomax Smart Office, who have over 25 years of experience and numerous prestigious awards. Hush office solutions are manufactured in Poland, in a 160,000 square foot, state-of-the-art production space. Wondering how Hush will look in your office? Download the AR application and insert the virtual booths into your space. Check which solutions best meet your needs. Pursuant to Article 6(1)(a) of the Regulation (EU) No. 2016/679 of the European Parliament and Council of 27 April 2016 on the protection of natural persons with regard to the processing of personal data and on the free movement of such data (General Data Protection Regulation), I give consent to have my personal data processed. The Personal Data Controller is MIKOMAX Spółka z ograniczoną odpowiedzialnością SP. K. ul. Dostawcza 4, 93-231 Łódź. The data included in the contact form shall be processed for the purpose of answering enquiries sent in accordance with the website rules. I consent to the processing of data in order to present the offer. Looking for more office solutions? 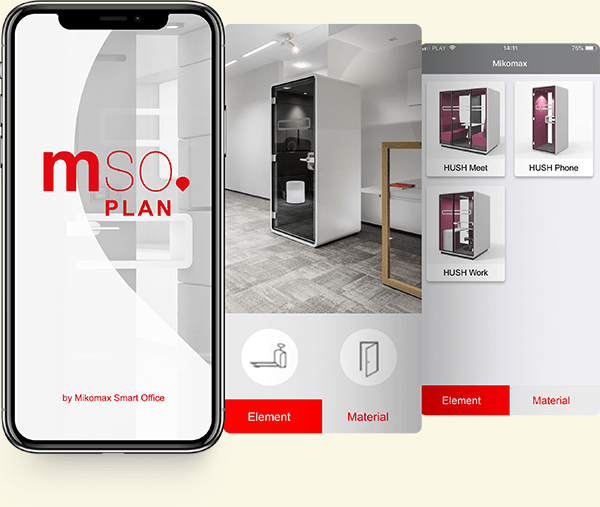 Please visit our parent company Mikomax Smart Office.